Turtle Rock Studios, best known for their hit games Left 4 Dead and Evolve, is teasing something on their Evolve website. There is no arguing it has something to do with Evolve and there is a countdown which expires in a couple of days. The only detail offering a hint at what the tease may be about is the inclusion of the hashtag #StageUp. The official Evolve twitter feed doesn’t mention the countdown, other than a retweeting a tweet from @TwitchTV_ProdX pointing to the countdown. 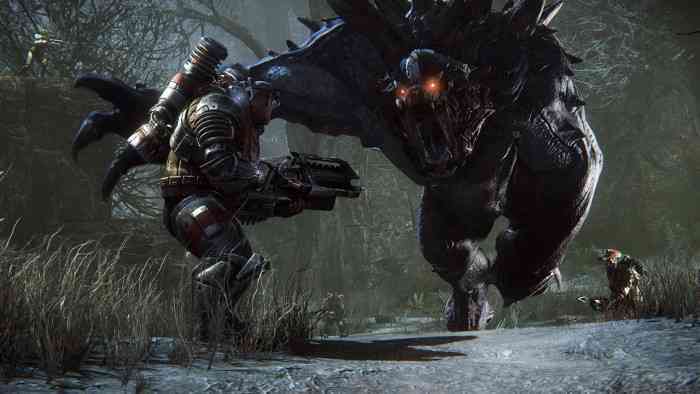 Despite some of the lackluster reviews, Evolve publisher Take-Two revealed that Evolve had sold about 2.5 million copies. Solid sales for sure but good enough for a sequel? Maybe the tease is pointing towards some kind of expansion. We have no clue what this countdown could be leading to, so we’ll have to find out in a couple of days.